Ying Cao, Esq. is Of Counsel to Allyn & Fortuna LLP as of 2016. Ms. Cao has extensive experience in national and international corporate transactional matters ranging from structuring multinational companies, cross border investments and related regulatory considerations, to negotiating and drafting contracts and resolving commercial disputes. Ms. Cao’s transactional experience also includes commercial real estate transactions and commercial lease negotiations, as well as experience in use variance applications and the hearing process. In recent years, Ms. Cao has expanded her practice into the area of investment immigration, successfully representing several Chinese investors in conducting due diligence of EB-5 regional center projects, analyzing risks, guiding clients in the preparation of source of funds documents, and preparing and submitting applications to United States Citizenship and Immigration Services. Ms. Cao also represents clients headquartered in China, India and Pakistan in forming U.S. subsidiaries and navigating the immigration process necessary for obtaining L-1 visas for intra-company executive transferees or transferees with specialized knowledge to work in their U.S. subsidiaries. Some of the other business visas Ms. Cao represents clients in obtaining include H-1B work visas for employees of hi-tech startup companies and EB-1 immigration visas or O-1 nonimmigrant work visas for clients with extraordinary ability in the fields of sciences, sports and business. Ms. Cao was born and grew up in Beijing, China and can advise clients in both English and Chinese. 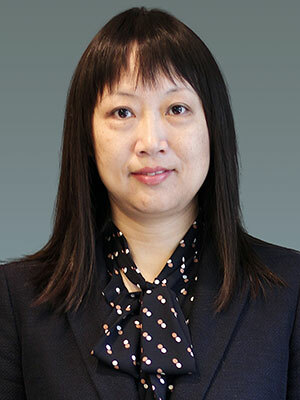 In addition to her work as Of Counsel to Allyn & Fortuna, Ms. Cao is the founder of Ying Cao Law LLC and maintains an active practice in New Jersey. Ms. Cao previously worked at Sullivan & Cromwell LLP, Pryor Cashman LLP and Goodwin Procter LLP. Ms. Cao provides pro bono legal services to several New Jersey non-profit organizations on corporate matters.